Batteries from wrecked Teslas go to these guys in order to build other electric cars. 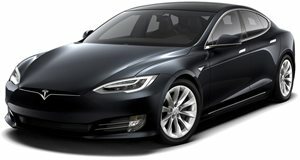 Tesla, a company that seems to be hellbent on changing the world, has been under close scrutiny because as a new mass-market automaker that has tried to infiltrate a market inhabited by companies that toiled decades to gain a reputation, the general automotive community needs to make sure it keeps Tesla in check and doesn't allow it to slack. Reliability ratings by various consumer watchdog groups, which have been on the rise, are a good start, but another way to check for quality is to dismantle the car's components. That’s exactly what YouTuber jehugarcia and his crew decide to do here. The purpose of this experiment is a bit more than just to seek knowledge about Tesla because these batteries will be used in other vehicles or will go on sale in order to power virtually any moderately sized electrical application. Given that Tesla builds some of the most energy dense batteries on the market, the units are in high demand for custom electric vehicle builds. The only problem is that it’s against Tesla’s interest to sell the technology to these car builders because the automaker would rather just sell them a whole Tesla. Circumventing this involves buying batteries off of wrecked Teslas and then undergoing the slightly laborious process we see here, which involves opening the large battery tray by unbolting it and then peeling it apart. The team must then drain the coolant inside before donning safety equipment to play with what amounts to almost 400 volts of direct current. Thanks to these guys, wrecked Teslas can be used for whatever power needs you deem necessary.